The British countryside is a national institution; most people aspire to live there, many people use it for leisure and recreation and we can all watch rural life played out on our television screen, read about it in novels or consume its imagery in art and cinematography. 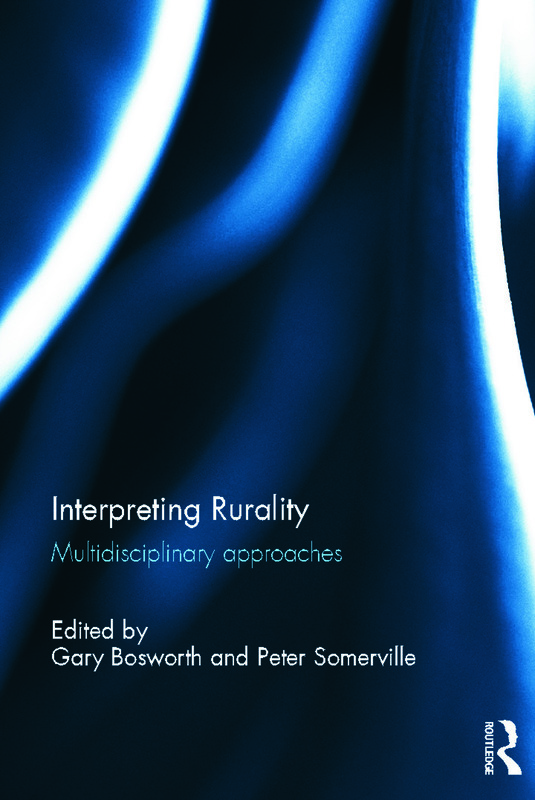 The aim of this book is to explore the way that these aspirations and perceptions influence the way that the term "rural" is interpreted across different academic disciplines. Definitions of rural are not exact, leaving room for these interpretations to have a significant impact on the meanings conveyed in different areas of research and across different economic, social and spatial contexts. In this book contributors present research across a range of subjects allowing critical reflections upon their personal and disciplinary interpretations of "rural". This resulting volume is a collection of diverse chapters that gives an emergent sense of how the notion of "rural" changes and blurs as the disciplinary lens is adjusted. In drawing together these strands, it becomes clear that human relations with rural space morph materiality into highly complex representations wherein both disadvantage and social exclusion persist within a rurality that is also commodified, consumed and cherished. Gary Bosworth is a Reader in Enterprise and Rural Economies at the University of Lincoln. He has published widely on issues affecting the rural economy including counterurbanisation, structural and cyclical economic changes, home-working, neo-endogenous development approaches, and the growth of rural tourism. Peter Somerville is Professor of Social Policy and Head of the Policy Studies Research Centre at the University of Lincoln. He has published widely on housing, community (including rural community, community enterprise, and community policing), cooperatives, equalities, homelessness, participation and social theory.